Atypical tooth extraction, extraction of "wisdom teeth"
Atypical extraction is performed in cases of crooked dental roots, improper placement of the teeth whose root canals were previously sealed with resorcinol-formalin paste; roots with cysts, granulomas, etc. The same applies to the cases of tooth extraction, if it is based on medical indications. Atypical tooth extraction is performed under local anesthesia. If there are medical indications, biomaterial is transplanted and the dental socket is sutured. 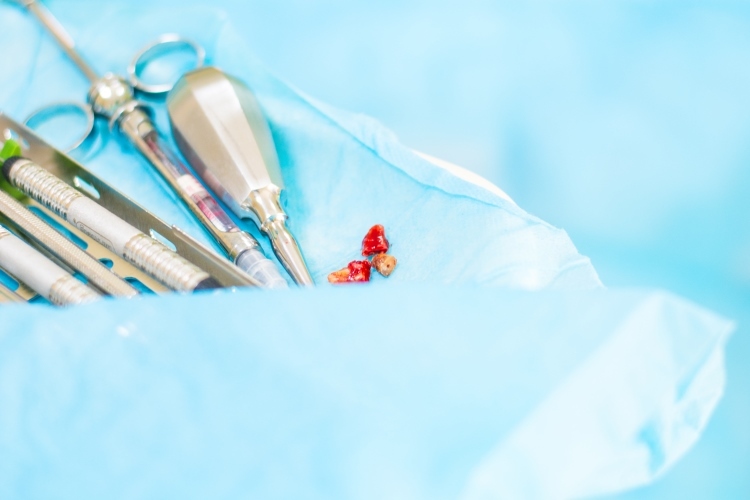 In the postoperative period, the doctor performs a mandatory re-examination, prescribes medication and gives recommendations for dental care at home. Specialists of iStomatolog have developed a special scheme of medical therapy after the extraction of complicated teeth. Its application provides rapid recovery of bone tissue. The postoperative period passes with minimal pain and discomfort. Most importantly, the risk of developing complications after the atypical extraction is minimized. The use of plasmatherapy, that is, the placement of a PRF-clot in the socket of the extraction tooth, based on the patient's own blood, helps to minimize the defect of the bone after extraction; it also accelerates and facilitates the healing process. To know about the cost of atypical teeth removal, book a free consultation at iStomatolog after undergoing a dental examination and getting your X-ray and CT scans.